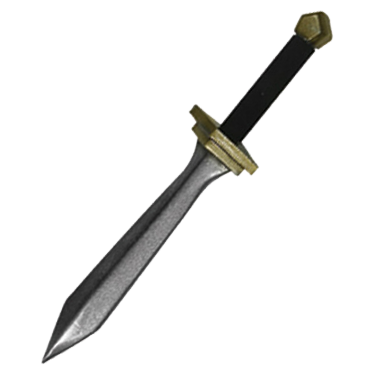 The Ready For Battle Legion Dagger looks superb and is made in ther stlye of those daggers carried by the Legions of Rome. This is an affordable dagger that is excellent for anyone. With the simple design, it can be used for just about any character or theme. The dagger is approximately 17 Inches in overall length. This measurement will vary slightly as these items are hand made.